HP Printhead Chemical Cleanser. HP Specific Kit to administer solution to print head. 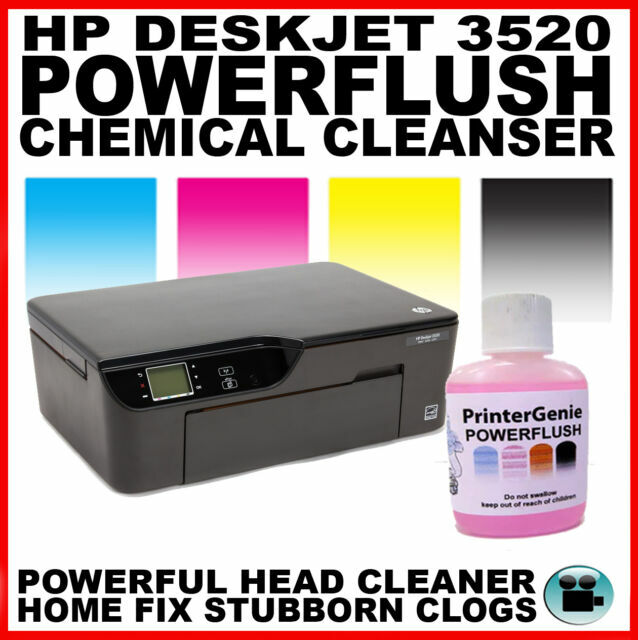 With this kit, you will be able to soak the clogged nozzle or nozzles directly and break down the ink jam and get the ink through the microscopic nozzles and your printer back printing again. This product is supposed to sort out my black printing. I stupidly bought a non HP black ink cartridge, which clogged up the black on my HP Deskjet printer. I was assured that this would do the job. No, it doesn't. I think the product bottle just gets a label put on to match a printer. I followed the instructions several times, but all I get is a grey print out. I would not recommend this. Was not printer specific, and instructions didn't match the printer that I bought it for.